NEW YORK -- Soon, you can have Thin Mints for breakfast without feeling too guilty. That's because your favorite Girl Scout cookies are coming soon to a cereal aisle near you. 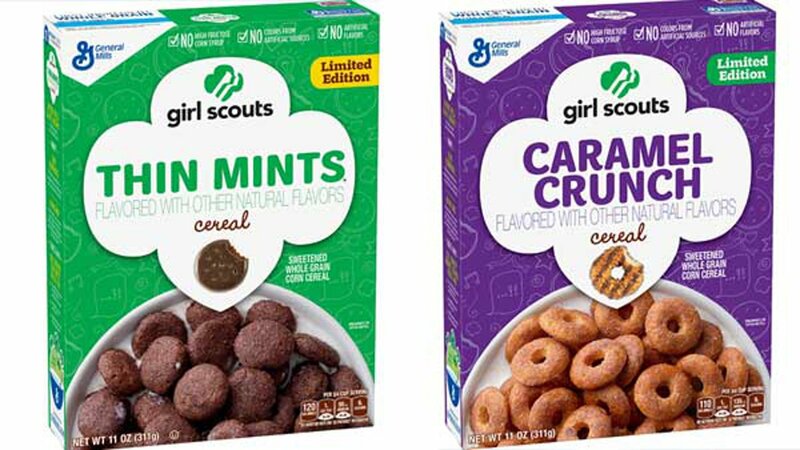 General Mills says Thin Mints and Caramel Crunch- a cereal version of Samoas- will hit store shelves nationwide in January.